The new Uber PREMIER ride option will provide an upgrade over the current uberX and offer economy class sedans to riders. 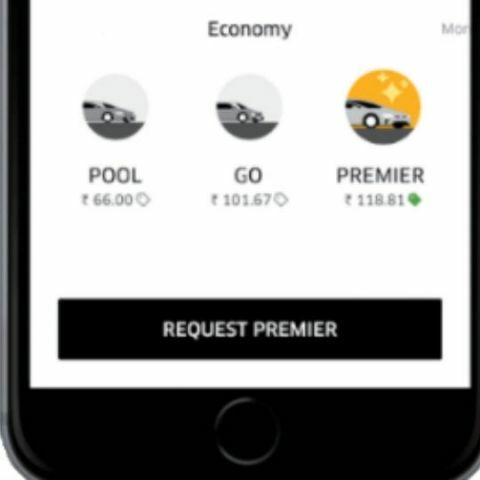 Online cab aggregator Uber on Thursday launched a new ride option PREMIER, which will initially be available in Mumbai and Pune. The new option will serve as an upgrade to the current uberX and offered to select riders as an in-app product. The PREMIER option will offers rides in economy-range sedans and customers will be extended enhanced customer support for better post-ride experience. PREMIER rides will be available at UberX prices in Mumbai an Pune. Riders in the two cities can expect to get best-in-class drivers when they book an Uber PREMIER. Uber says these driver partners have completed 1000+ lifetime trips and have been acknowledged by riders via its Driver Compliments and Driver Ratings features. Trips may also have a shorter pick-up time when booked using Uber PREMIER. Apart from PREMIER, Uber currently provides uberMOTO, uberPOOL, uberGO and uberX ride options. Need to deeply clean my flat in Pune.